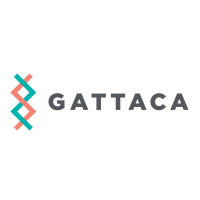 Gattaca Projects created 3D modelling of manufacturing facilities and the plans for the implementation of new plant machinery. This was achieved by taking point cloud data and survey data to develop an up-to-date e-plan and model of the manufacturing facility before showing via simulation that proximity, forklift access egress was acceptable to client. Gattaca PLC (LON:GATC) provides recruitment solutions and support to employers in the engineering and technology sectors. With offices across four continents, their global presence gives them the ability to offer clients and candidates a localised service on an international scale.